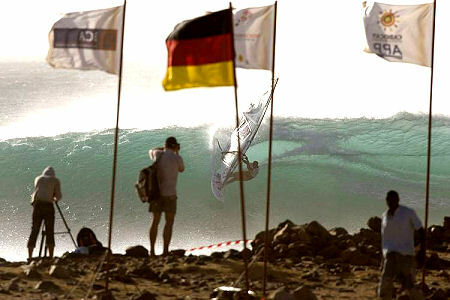 Around the windsurfing world, the question on everyone’s lips is, ‘Can the island of Sal can possibly repeat the epic conditions of 2007’s historic PWA wavesailing event? TeamPryde and the RS:Racing do it again, taking out the podium at the 23rd Calema Midwinters. Calema has long been the first major formula event of the year with top international riders taking the opportunity to show off their new gear and size each other up for the season ahead. 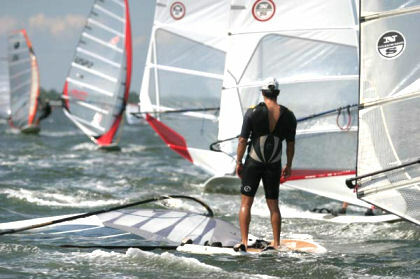 Highland Spring HIHO 2008 is gearing up to be the most exhilarating windsurfing and sailing extravaganza yet to be hosted by the organizing Ocean Promotions team. 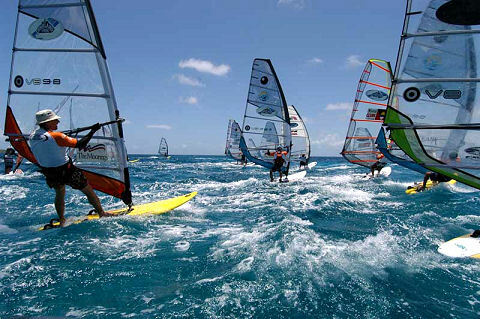 The annual event, which takes place this year from June 29 - July 6 shows off the hot spots and shares the windsurfing secrets of the British Virgin Islands. 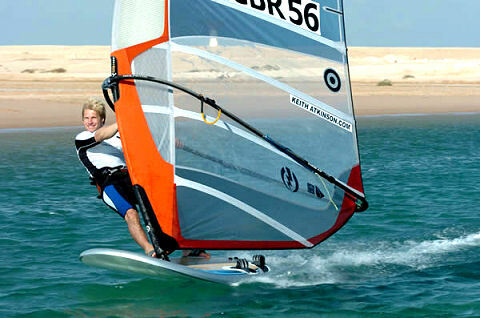 On Sunday 24th February a packed Seckford Theatre in Woodbridge Suffolk witnessed record breaking nine times British Windsurfing Champion Keith Atkinson, being presented with the evenings’ most prestigious award - Suffolk ‘Sports Personality of the Year’. 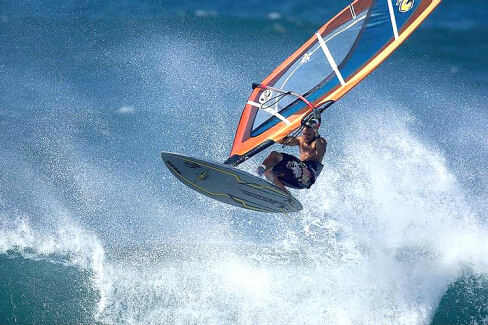 Confirmed price money of 18000 Euros is sure to attract a good field for the 2008 Speed Windsurfing European Championship to be held on the island Karpathos in Greece from 20-26 August this year on the "short track" (250m run). 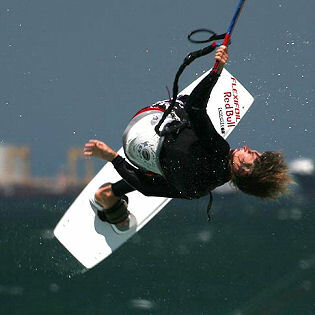 Two-time World Champion Wavesailor Kauli Seadi finally pens deals with both JP Australia and NeilPryde Sails. Seadi signed a three-year contract with both NeilPryde and sister-company JP Australia to cover the complete package of sails, rigs and boards.